New York, Wildenstein & Co., Inc, A Loan Exhibition of Manet for the Benefit of the New York Infirmary, February-April 1948, p. 51, no. 7 (illustrated, p. 18). Southampton, The Parrish Art Museum, From Southampton Collections, August-September 1973, no. 74. Tokyo, Isetan Museum of Art; Fukuoka Art Museum and Osaka Municipal Museum of Art, Edouard Manet, June-October 1986, p. 6, no. 25 (illustrated in color; dated circa 1878). T. Duret, Histoire de Édouard Manet et de son oeuvre, Paris, 1902, p. 209, no. 67 (titled Une italienne (Etude) and dated 1863-1865). T. Duret, Histoire de Edouard Manet et de son oeuvre, avec un catalogue des peintures et des pastels, Paris, 1926, p. 244, no. 67 (titled Une Italienne (Etude)). E. Moreau-Nélaton, Manet: raconté par lui-même, Paris, 1926, vol. I, pp. 30 and 150 (illustrated, p. 31, fig. 22; dated circa 1860). A. Tabarant, Manet: Histoire catalographique, Paris, 1931, pp. 55 and 576, no. 31. P. Jamot, G. Wildenstein and M.L. Bataille, Manet: L'oeuvre de l'artiste en quatre cent quatre-vingts phototypies, Paris, 1932, vol. II, p. 30, no. 38 (illustrated, fig. 67). A. Tabarant, Manet et ses oeuvres, Paris, 1947, pp. 40 and 534, no. 36 (illustrated, p. 603). H. Perruchot, La vie de Manet, Paris, 1959, pp. 96-97. P. Pool and S. Orienti, The Complete Paintings of Manet, New York, 1967, p. 89, no. 27 (illustrated). M. Venturi and S. Orienti, L’opera pittorica di Édouard Manet, Milan, 1967, p. 89, no. 27 (illustrated; titled Modella italiana). M. Bodelson, "Early Impressionist Sales 1874-1894 in Light of Some Unpublished 'Procès-Verbaux" in The Burlington Magazine, vol. 110, no. 783, June 1968, p. 343, no. 38. D. Rouart and D. Wildenstein, Edouard Manet: Catalogue raisonné, Lausanne, 1975, vol. I, p. 46, no. 29 (illustrated, p. 47). B. Dorival, "Quelques sources méconnues de divers ouvrages de Manet de la sculpture gothique à la photographie" in Bulletin de la Société de l’histoire de l’art français, année 1975, 1976, pp. 329-330 (illustrated). G. Bernier, Paris Cafés: Their Role in the Birth of Modern Art, exh. cat., Wildenstein & Co., Inc, New York, 1985, pp. 22 and 119 (illustrated, p. 22; with incorrect provenance). S.G. Lindsay, Mary Cassatt and Philadelphia, exh. 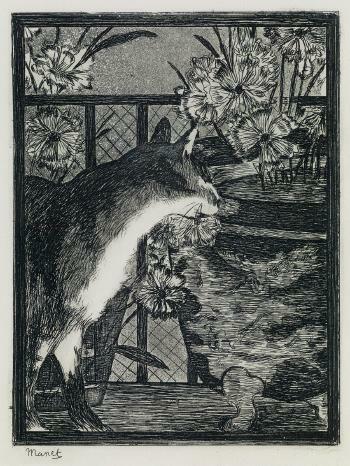 cat., Philadelphia Museum of Art, 1985, pp. 14 and 30, note 75. F. Weitzenhoffer, The Havemeyers: Impressionism Comes to America, New York, 1986, p. 36. E. Darragon, Manet, Paris, 1989, p. 48. J. Wilson-Bareau, "L’année impressionniste de Manet: Argenteuil et Venise en 1874" in La Revue de l’art, no. 86, 1989, p. 28. R. Katz and C. Dars, The Impressionists in Context, New York, 1991, p. 40 (detail illustrated in color). B.R. Collins, Twelve Views of Manet’s Bar, Princeton, 1996, p. 253. J.A. Barter et al., Mary Cassatt: Modern Woman, exh. cat., The Art Institute of Chicago, 1998, p. 188 and p. 208, note 30. Estate of the artist; sale, Hôtel Drouot, Paris, 4-5 February 1884, lot 38. Alexander J. Cassatt, Philadelphia (acquired through Alphonse Portier at the above sale). Anthony D. Cassatt, Philadelphia (by descent from the above, by 1906 and until at least 1948). 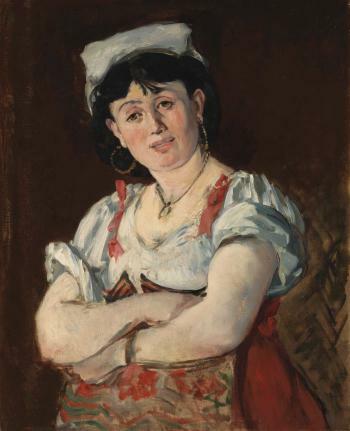 Minnie Cassatt Hickman, Southampton (by descent from the above, 1972); sale, Christie's, New York, 31 October 1978, lot 15. Acquired at the above sale by the late owners.